11 weeks of 90 minute Squad climbing sessions. Unlimited climbing at both our Sutton and Guildford centres. Additional coaching sessions and workshops during the school holidays. A regular session for youngsters that wish to get in to competition climbing and participate in Regional and/or National events. Suitable for children of all ages from 12+. An opportunity to receive regular coaching and develop technique while improving skills and strength. 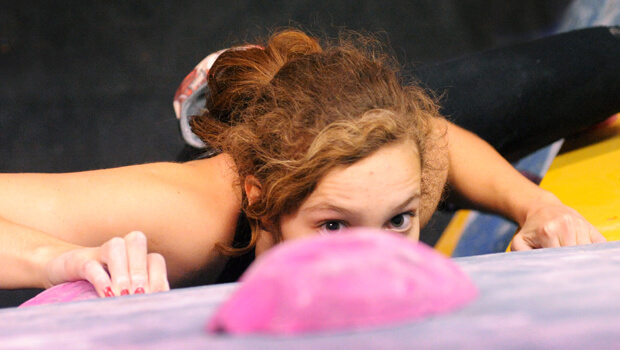 Focus on your climbing with other like-minded young climbers. All applicants must be a minimum of NICAS Level 3 if coming to us from another centre. £65 per month. Please call us on 0344 8808866 to enquire about a place on Youth Squad for your child.